Scope – Wild About Flavour, add the hunting magazines on the rack and you have a few clues that wild food is a theme here. The menu includes a Mai Mai Duck Open Sandwich ($23) and a Venison Burger ($23). Venison and blue cheese pasta is sometimes on the specials menu, and a venison sausage is part of the Hungry Hunter Big Breaky ($23.90). 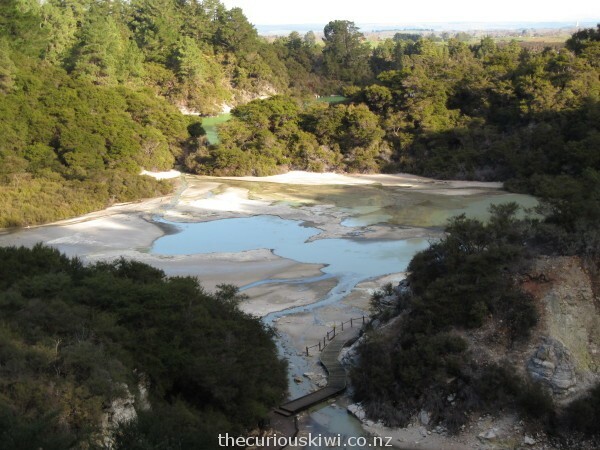 Te Puia combines Maori culture, our national icon – the kiwi bird, and geothermal activity on the city’s doorstep, 3km from Rotorua centre. Visit during the day to spot the two brown kiwi in the Kiwi House and see geothermal features including the naturally erupting Pohutu geyser. 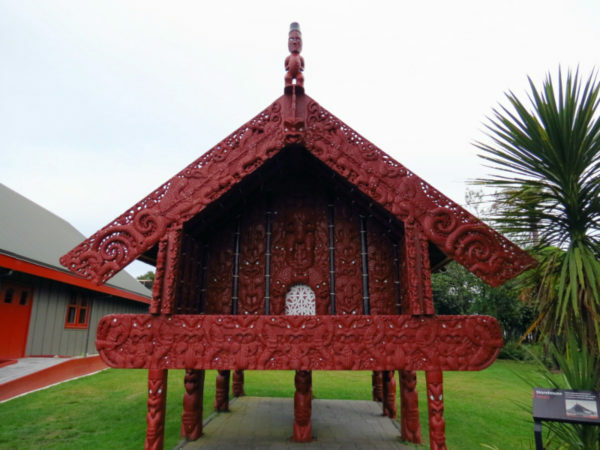 Watch Maori carvers and weavers at work, and walk onto Rotowhio marae with its carved wharenui (meeting houses) and pataka (storehouse). Cost – from $54 per adult (add on options available). (Discount for New Zealand residents and locals). Lake Okareka Walkway is around 5.5 km return. The first 2km to Silver Beach is flat and easy going, the last .5km or so to the Okareka outlet requires some uphill climbing including stairs. The last .5km of the track is narrower, it’s not too difficult but it’s not accessible for pushchairs and wheelchairs. 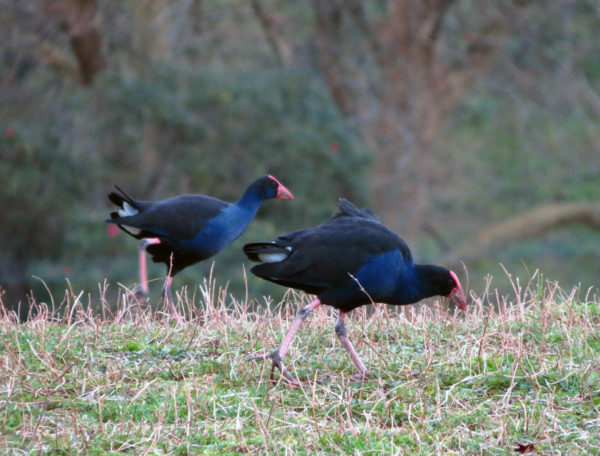 It took us about 2 hours return to do the walk but we dilly dallied watching birds with binoculars and taking photos. Has Banksy been in Rotorua? Probably not. 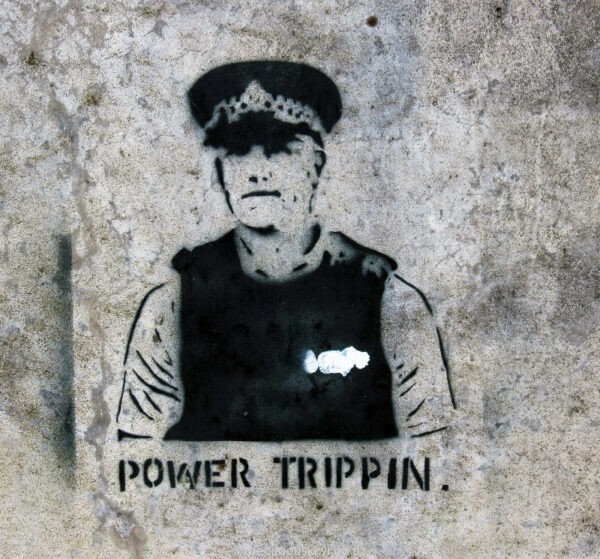 However I spent some time Googling phrases like ‘How do you know if it’s a genuine Banksy?’ before I came to that conclusion. It was fascinating reading, if you find the real deal on a wall here’s some of what you’re likely to need – 24 hour security, a diamond chainsaw, a team of art curators and builders, and a lot of money to pay for it all. 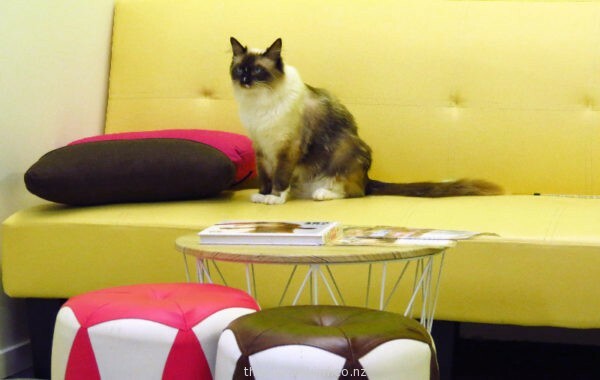 Fancy Meow Cat Cafe is home to five fancy cat breeds including Ragdolls, a British Blue and a Bengal. On 13 May some little kittens moved in too. 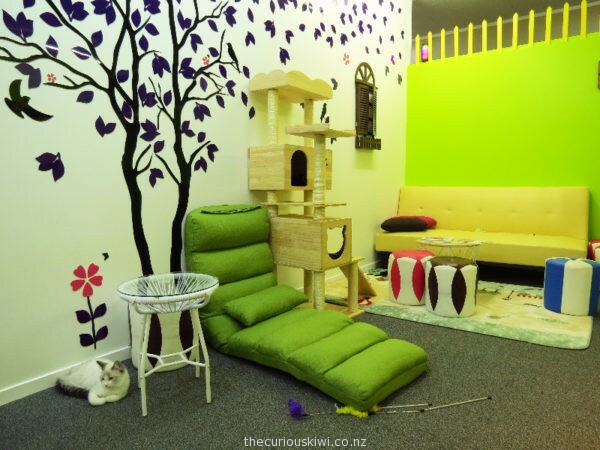 The fancy felines have two rooms full of cat gyms, hidey-holes, and furniture to climb. Most of the cats at Fancy Meow are Ragdolls as they are an especially people friendly breed, they also have the most beautiful blue eyes. The Government Gardens in Rotorua are beautiful at any time of the year, but especially when the tulips are blooming during the annual Tulip Fest. 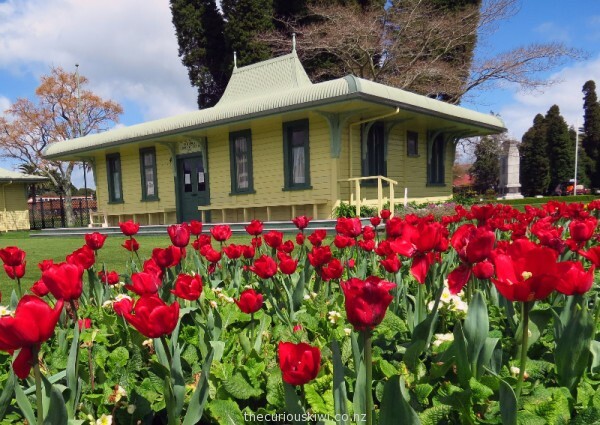 Te Runanga Tearooms in the gardens is Tulip Fest HQ and it’s the meeting place for a lot of the events held from 1 – 9 October 2016. After driving a V8 in Taupo Mike was keen to get behind the wheel of another fast machine, so that made gift giving easy this year. Cue Raceline Karting at Off Road NZ, around 25 minutes drive north of Rotorua in the countryside near Mamaku. Off Road NZ is a professional set up with a top class race track. If you know your karts they have 390cc 4 stroke SODI GT3’s imported from France. We had dinner at Urbano Bistro this week and both agree it is worth recommending on the world wide web. 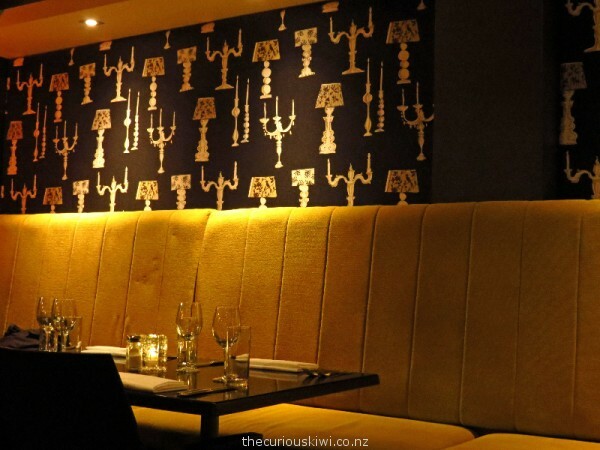 Urbano is one of Rotorua’s smarter dining options, the decor is dark and stylish and we felt really comfortable, they have created a nice atmosphere. 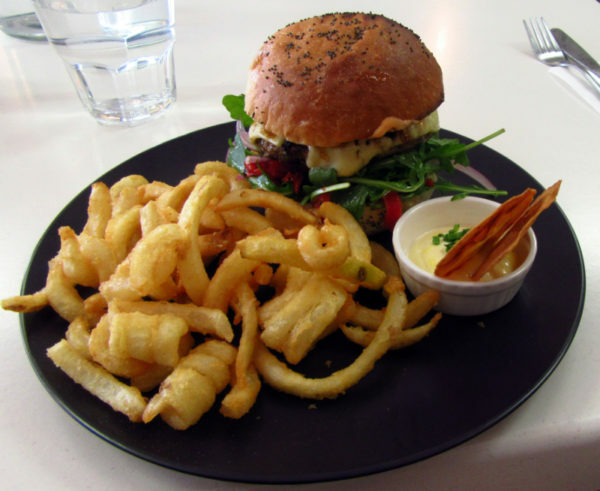 It is at the pricey end of the dining spectrum, most mains are over $35 and entrees $17+. 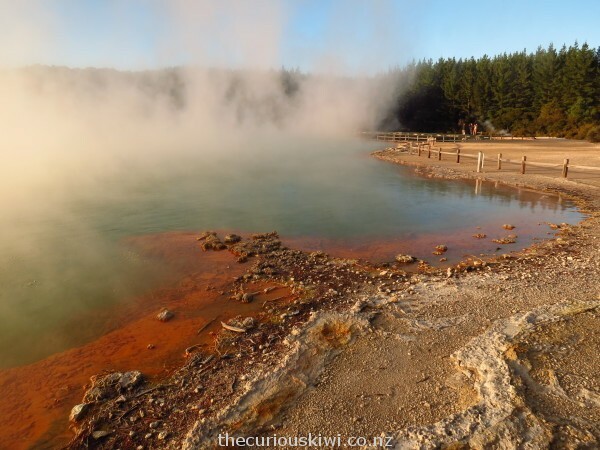 The star attraction at Wai-O-Tapu Thermal Wonderland is The Champagne Pool with its sun burst orange edges and tiny champagne like bubbles on the surface. 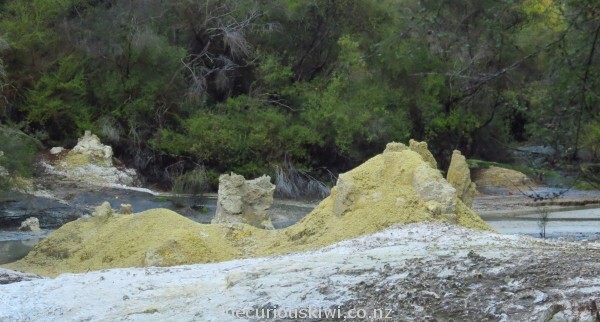 Elsewhere in the park sulphur colours the landscape yellow and adds a pungent and uniquely Rotorua smell to the air. Kanuka grows wild along wooden walkways that hug cliff faces and take you over steaming ground to the miniature Lake Ngakoro waterfall. We took advantage of a $39pp Grab One deal at Hells Gate for a mud bath and sulphur spa (usually $75pp). When I think of a mud bath I think of a thick pool of mud like this one in Colombia. 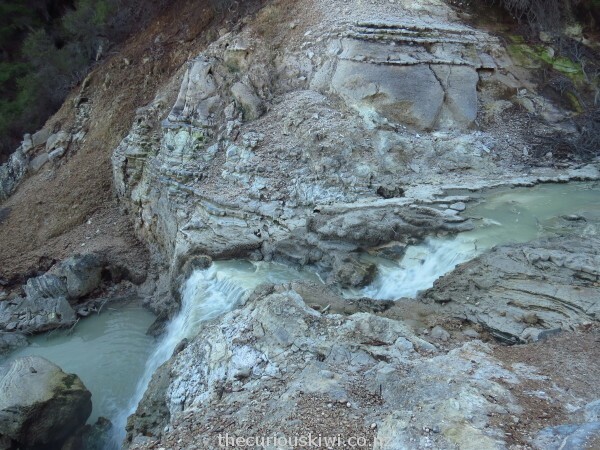 At Hells Gate you step into a pool of hot muddy water and then scoop mud out of a container with your hands to give yourself a mud body mask ….